A string trimmer is a tool that is used to cut grass by rapidly rotating a flexible wire or cord (Source). They come in gas, battery and electric (corded options). Designed to cut the grass and weeds where a mower is unable to reach, they are primarily used to cut the edges of an area, especially the grass that is close to objects such as fences. It’s also great to use for irregular terrain (Source). To function, string trimmers use a motor that’s powered by either gasoline, electricity or batteries to rapidly spin microfilament string (Source). The string spins fast enough that it becomes so stiff that it is able to cut through grass and weeds. String trimmer reviews reveal that many buyers not only find their string trimmers necessary but also have fun using them (Source). One buyer also suggested that if you have a battery string trimmer, you should charge the battery every now and then even if you don’t use it regularly as this will help to maintain the life of the battery. The GreenWorks electric string trimmer is the lightest weight string trimmer of all these options, coming in at only 5.2lbs. It’s also the only corded electric string trimmer, and it’s the only one featuring an adjustable telescopic shaft. This allows it to easily adjust to the height of the user. The GreenWorks electric string trimmer does not come with the required power cord, so you must purchase it separately. Both the Poulan Pro as well as the Husqvarna are gas string trimmers, whereas the Dewalt and the Black+Decker are battery string trimmers. It’s important to keep in mind that the Dewalt does not come with the required battery. However, if you have other Dewalt tools, you may have a 20V battery that can be used interchangeably between your tools and your Dewalt battery string trimmer. Something important to keep in mind is the cutting width of the string trimmers. The two gas string trimmers on the list (Poulan Pro and Husqvarna) both feature a 17-inch cutting width, while the other three all have a cutting width of 13 inches. If you’re interested in the battery string trimmers, you should also consider the number of volts you’ll need your battery to hold. The Dewalt requires a 20V battery and the Black+Decker comes with a 40V battery. Additionally, the Black+Decker features a nifty dial that allows you to decide between maximum power and maximum runtime. Perform any required assembly according to the manufacturer’s instructions. To cut the grass along fences or other obstructions, hold the string trimmer as level as possible to ensure flat and even grass. To cut the grass along a flower bed, hold the string trimmer in a vertical position. Don’t use your string trimmer right against a tree as it can damage and even kill the tree. Using something like mulch around your tree’s base can solve this issue. Depending on your string trimmer, you may need to do something such as bump the string trimmer on the ground to feed more string out. Some have auto feed features, but check your user manual for instructions specific to your string trimmer. Install new microfilament string as needed. This 13-inch corded string trimmer offered by GreenWorks is a solid option if you want to keep your lawn neat.Users like the performances of this tool, but do complain about difficulties with edging sidewalks. This product features a 13-inch cut path with .065 dual line auto-feed and adjustable auxiliary handle. Other features include 180-rotating handle for edging along sidewalks and driveways, as well as a cord lock which prevents the cord from disconnecting. It is lightweight, weighing only 5.2 lbs. This item seems like a solid choice if you want a trimmer for small to medium size yards. 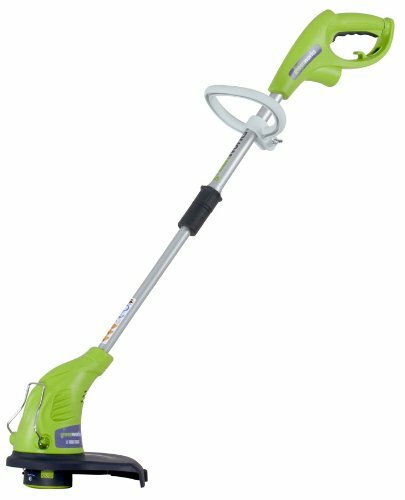 The general user consensus concerning theGreenWorks4 Amp 13-inch string trimmer is that it gets the job done for a decent price.Many users state that it is fast, powerful, lightweight and easy to assemble and use. 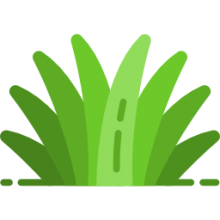 Although buyers agree that it works great for knocking down tall grass, they complain about the fact that it is not so great for edging sidewalks. One dissatisfied purchaser says that it is poorly balanced (all the weight is at the head) and heavy for extended use. 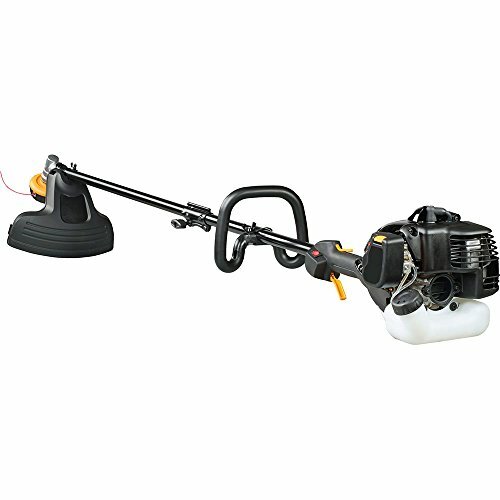 This gas powered string trimmer offered by Poulan Pro is a solid option for those who want one with a straight shaft. Users like the effectiveness of this product, but many do complain about difficulties with performing certain operations. This product is powered by a reliable Sure Fire 25cc 2-cycle gas engine. Thanks to a spring assisted start system and 17″ maximum cutting width it is easy to use, as well as efficient and cost-effective. Reloading the trimmer spool is quick and simple. This string trimmer might be well-suited for more demanding residential lawn maintenance. In general, users have a favorable opinion of the Poulan Pro 2-stroke gas powered string trimmer.What they praise is that the motor runs well and that it starts up within 1-2 pulls.They conclude that it is a great light-duty machine for occasional use. However, some buyers express complaints regarding the process of replacing the trimmer line. One dissatisfied buyer complains about the power head which broke after the first use. If you are looking for a top-rated string trimmer, you might want to consider this model with alithium-ion battery system offered by BLACK+DECKER.Users like the functionality of this tool, but some do complain about its durability. This product features a high-powered 40-volt MAX lithium-ion battery system, which offers great power and excellent run time. The automatic feed spool ensures continuous work without bumping. If you want a trimmer which converts easily to an edger, this might be a good option. In general, users have a favorable opinion of the BLACK+DECKER string trimmer/edgerand they agree that it is lightweight, adjustable and easy to handle. Many of them state that it is very powerful and efficient. They add that the battery recharges quickly and lasts on high for almost an hour. However, some purchasers complain about its quality, sharing that their item stopped working after only a few uses. This 17-inch string trimmer offered by Husqvarna is a solid option if you are a homeowner looking for a versatile tool. Users say that it is a good value for the price, but some do complain about the motor power. This product features easy starting with Smart Start recoil system and fuel pump. Other features include a 28cc engine and a 17-inch cutting width. It comes with an easy-loading T25 semi-automatic trimmer head.This item could be a solid choice if you’re looking for a lightweight multi-purpose trimmer. In general, buyers have a positive opinion of the Husqvarna 128LD string trimmer. They state that it is great for the price – it starts easily and runs great. All in all, they agree that it is not too heavy and thus it’s good on the back. However,some buyers complain about the motor being under powered, even for residential use. One dissatisfied purchaser states that the tool is not strong enough to run an edger attachment. 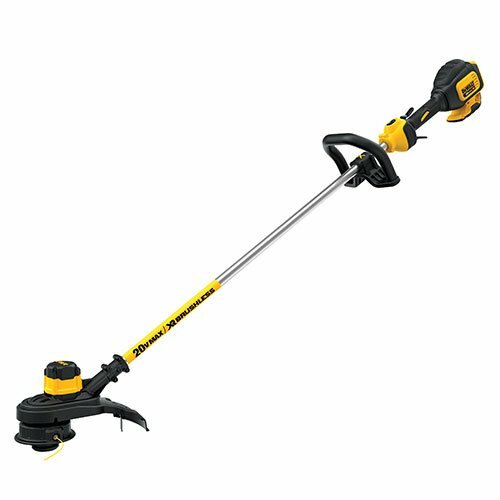 If you are looking for a brushless string trimmer, you might want to consider this one offered by DEWALT. Users like its power, but have complaints about its quality and durability. This product features a brushless motor which maximizes motor efficiency and durability. It has a variable speed trigger, as well as a speed control switch. It is well balanced, easy to maneuver and puts less stress on the user. If you are looking for a string trimmer that provides precise power control,this might be a solid option. In general, users are happy with the DEWALT 20V lithium ion brushless string trimmer. What they like in particular is that it is very strong and that the battery lasts as long as a tank of gas would.In addition, they agree that it is lightweight and easy to use, as well as that it does the job at a fair price. However, many purchasers complain about certain quality issues and its durability. One user says that the attachment of the upper and lower rods is flimsy. Several buyers share that their items stopped working soon after the purchase. Almost every home owner owns a string trimmer to keep their yards neat and well groomed. It can really be confusing deciding exactly which one is right for your specific needs. They all basically work on the same concept of a spool of a thick, plastic cord attaches to the bottom, which automatically extends just the right amount of string as it is worn and cut from use. In theory, a person should be able to easily trim their entire yard using this constant feed of string spinning at a high rate of speed. It is surprising, though, the diversity and styles that these string trimmers are available in. For lighter use, there’s the cordless model which operate solely on battery power. These styles are quiet and great for the small yard and limited use. There’s also the corded model of string trimmer that is designed for having a long drop cord plug onto the string trimmer. Because these trimmers use an electric motor they are reliable starters that will almost always run. The drawback is being restricted by the length of the cord, if you’ve got acres of trimming to do this isn’t the trimmer for you. The most popular and most used of the string trimmers are the gas-fired models, because of their diversity and the easy to use design. Choosing the right one can be pretty confusing and here are a few to take a look at. At only 5 pounds the GreenWorks is super light and easy to use. But it’s a DC corded unit, which means there are some restrictions on its usage. The GreenWorks cuts a wide 13” swath with a duel line auto feed. This is a super reliable unit, despite the drawback of being cord operated. Few names invoke quality like Poulan and this string trimmer is no exception. This is a gas driven model with a single string, cutting a whopping 17” swath, which is about as good as it gets. This model also has an easy pull start and promises to be a reliable unit. No brand knows battery operated DC powered equipment like Black & Decker and this string trimmer is no different. 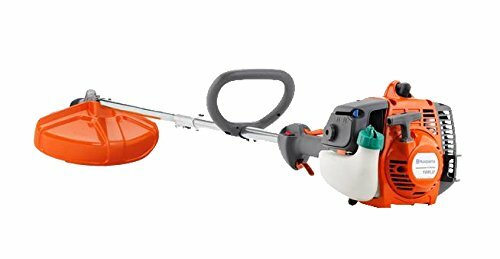 This unit operates at an incredible 40 volts, which means that you’re going to get a long run time, which makes this one battery operated string trimmer that would be suitable for more durable use. Husqvarna began with building the greatest chainsaws on the market, but they’ve expanded to include the full array of quality power equipment over the years. This string trimmer is no exception boasting a wide cutting swath and is built to last. Another name well associated with quality is DeWalt and this string trimmer is built along these same lines. The DeWalt is an incredibly compact battery unit that is certain to be reliable. At a 20 volt rating, however, this is not the unit for large areas, because you’re going to find yourself charging at pretty regular intervals.